Welcome to the second week of car reveals here at the Forza Garage. 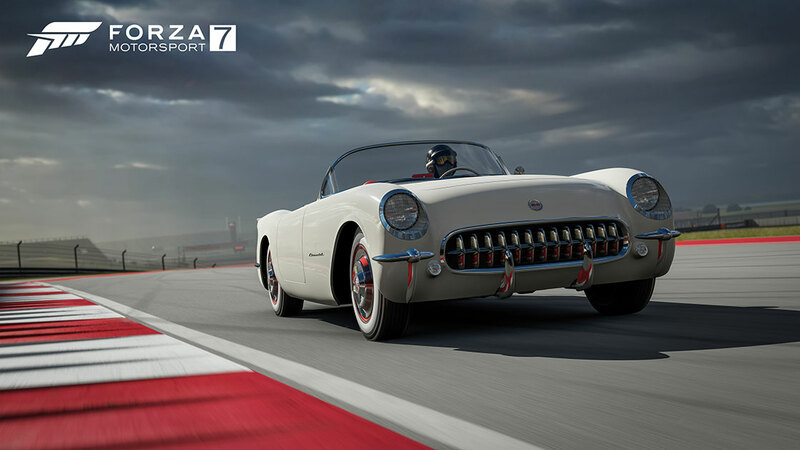 This is Vintage Week, and we’re showing off the depth of classic cars that are a part of Forza Motorsport 7’s mammoth 700+ car list. This list includes pre-war racers that will challenge drivers of every skill level, post-war cruisers cars that changed the way the public thought of the automobile, and many more. The range of materials and technology on display here is as varied as the cars’ shapes, sizes, and capabilities. From wooden frame cars to pre-war biasply tires and more, the ForzaTech engine recreates all the intricacies and nuances that make these legendary cars so special. Take, for example, the 1950 Alfa Romeo 158, or “Alfetta” which was driven by some of the greatest drivers in motorsport history. Or consider the 1967 Volkswagen Karmann Ghia, an early VW sports car designed in Italy (yes, you read that right, Volkswagen is returning to Forza). Then there is the American game changer, the 1953 Chevrolet Corvettel; an automotive revelation that defined and influenced car design for generations. Alfa Romeo has been building race cars since 1913. In fact, they started racing just after the company was founded. It wasn’t long after they found victory, and they went on to compete in nearly every form of motorsport with great success. The 158, or the Alfetta for “Little Alfa” as it is commonly known, has earned its way to reverence as one of the most successful race cars ever built, winning an astounding 87 percent of the grand prix races it -- and its subsequent model the 159 -- competed in. The 1,479 cc supercharged straight 8-cylinder engine in this model produced around 350 hp aboard its lithe tube-frame chassis. The great Juan-Manual Fangio along with Giuseppe Farina took the 158 to win every race but the Indy 500 during its post-war debut season. Fangio would of course go on to win the World Driver’s Championship five times, making the 158 a storied piece of motorsport legend. Now here's a look at the cars we're announcing this week. Here's a list of all the cars we've announced so far.